Little Boo has an absolutely favorite toy. It was getting pretty beaten up and past experience has taught me not to wait till dog toys are ruined to buy a replacement, because they often aren't being sold any more. I bought the replacement with every intention of putting it aside until the original was being thrown out...but as it happened, old softie here gave it to her. It was funny watching her torn between her old love and her new love! Her tiny little mouth can't hardly handle one of them - no chance of holding both. So it is a constant battle within her. When I throw one of them for her to go get, she runs for it with the other already in her mouth and then has a melt down trying to figure out what to do when she gets to the other one. She is utterly torn between her two loves - which equals two masters in her life. When push comes to shove, she, like us, picks one and serves it. I hope we all choose to serve our awesome God and nothing else. "Other gods" do not need to be ancient graven images. Take an honest look at where the majority of your time, effort and money go. This is a god in your life. 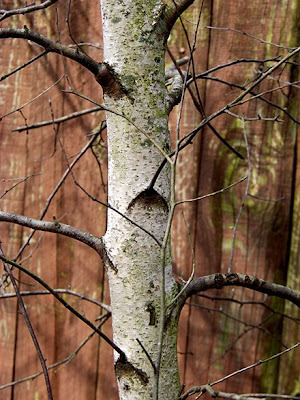 This is what my River Birch looks like in the winter. Cool trunk too. Today's gift is the little things that dangle from it in the winter. Thank you so much for this Freebie. 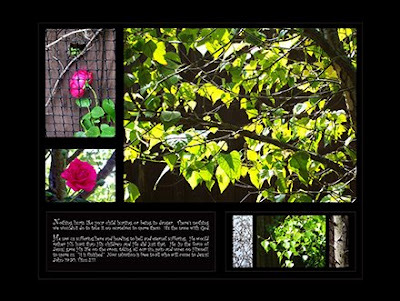 I want to let you know that I posted a link to your blog in Creative Busy Hands Scrapbook Freebies Search List, under the Elements or Papers post on Jul. 09, 2009. Thanks again. Thank you very much this is beautiful. 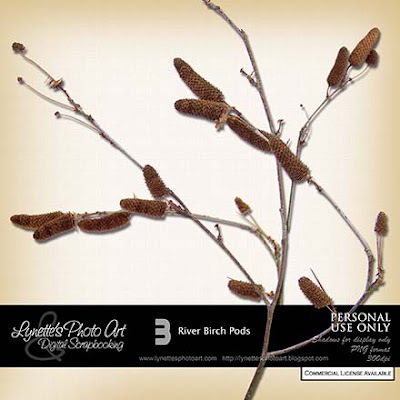 I know what is a "river" in English ;) but i didn't know what was a "birch" so i've just look up in the dictionary. 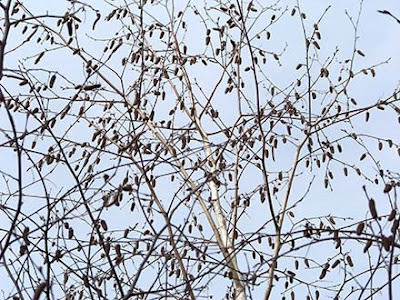 This tree with white bark and timber gives "fruits" from catkins (male and female).